I am honoured to announce that I have won the accolade of Top 10 SME blog in 2018 by Feedspot. It is rewarding to know that I am able to share my knowledge with others, and that people are listening to and appreciating what I have to say. 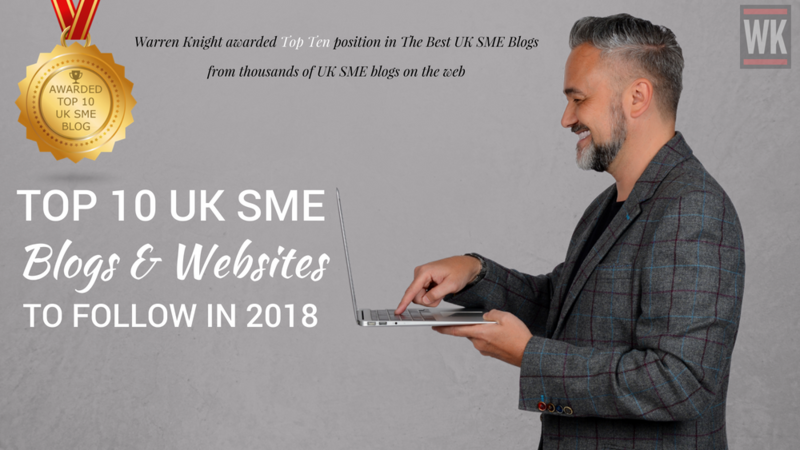 SME Magazine was among the Top 10 blogs, as it provides news stories along with expert blogs centred around the key issues affecting small-medium sized businesses. Small Business also gained a place in the line up for its resources and services which it provides to small business owners. Along with Sage, who offer advice on managing almost anything, from money to people. Business Matters, the UK’s largest business magazine for the entrepreneur, was also among the line-up. 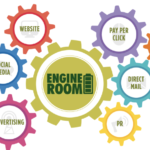 As well as these, Engine Room’s blog which focuses on core values of business development with everything you need to know about the ins and outs of marketing. Price and Bailey also made the list for their easy to understand guides and advice for managing your businesses finance. Holden Associates, an accountants firm based in Lancashire were among the Top 10 blogs for their advice and support to SMEs. Along with Stewart Accounting, another blog offering expert guides to managing money and taxation advice. Last to join the ranks, but by no means least, is Jo Long Consulting. 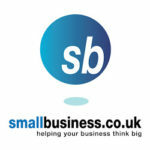 Jo’s blogs offer a range of business advice from marketing plans to managing taxes. I have been writing for nine years now, imparting what I have learnt in my various businesses and the help I’ve offered, with fellow business owners and entrepreneurs, so to be given this accolade, along with nine other expert blogs within the industry, is a privilege. After being in the business for 25 years I have witnessed first hand how much the business has changed and evolved. This has afforded me the knowledge that I am now able to share with others. I am particularly grateful to the opportunities that Twitter opened up for me, by providing a platform on which I could grow my audience and my profile. Additionally, I was able to continue to learn about the expanding digital landscape, while also being the perfect place to communicate with peers, customers and industry leaders. Social media has enabled me to become a thought leader myself and it is through platforms such as Twitter that I can start to build trust with potential clients. Back in 2008, after having spent 11 years working in China and spending more than 2 months a year between Hong Kong and our factory in Shenzhen, I decided to leave working with corporates such as Disney, Nickelodeon, Tesco and Carrefour to enter the online world of social media, digital marketing, and e-commerce. In order to make an impact I realised very quickly I had to position myself as a thought leader. To do this, I started with three e-books on social media, sales, and international business, having worked with over 30 countries. After cultivating ample experience in the field, I then went on to hit the speaker circuit. 10 years on, I have written over 1,000 blogs; generated over 1 million visitors to my websites and sent over 1 million emails, along with over 30,000 tweets. This has enabled me to continue travelling the world this time as a professional speaker, talking about how companies can embrace technology and integrate it into their sales and marketing, to build brand awareness and open new revenue streams. The one thing that has stayed consistent is that business will always need a strategy and a plan of how to acquire new clients. However, the digital landscape has transformed how we engage with customers these days, it is extremely different to 10 years ago. It is not just the technology that businesses need to get to grips with in order to succeed, it is the overall mindset. Having an open mind is integral to being able to grow with the trends and not be left behind. To help companies understand this, I wrote and published my very first book: Think #Digital First. The launch event was live-streamed and linked to Amazon, so we could all watch sales happen in real time. It was a great way to heighten moral and harness the power of technology. More recently I published my 2nd edition with a launch at the Waterstones in Piccadilly, this was a much more intimate celebration with friends, family, clients, and advocates. I have had many successes throughout my time of running a business, but there have also been low points. Through this, I have discovered various ways to generate revenue and I now have 15 sources of income that are all based online. Life today looks very different for me, as I moved out of London to live in the countryside along with my wife and baby daughter. Having exchanged the busy London roads for 50,000 bees, four chickens and another baby due at Christmas, I continue to pour myself into my business. My love for helping companies, especially business owners, is stronger than ever. The more I learn, the more I want to teach. Once again thank you Feedspot for seeing my passion for writing. You’re a legend and inspiration. Heaven has a VIP lounge for you….but in another 60 years. Just not ready yet! Well done Warren! But, I must admit, I am not surprised- well-deserved men!